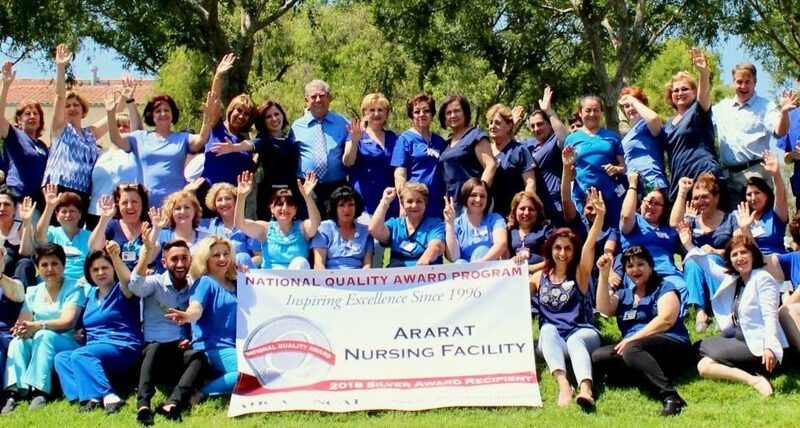 We are very proud to report that Ararat Nursing Facility has been recognized as a 2018 recipient of the Silver – Achievement in Quality Award for its commitment to improving quality care for residents. This national award is presented annually by the American Health Care Association and National Center for Assisted Living, the leading association for long-term and post-acute care that represents more than 13,500 care facilities. The National Quality Award Program has three progressive levels: Bronze, Silver and Gold. The awards recognize those member facilities that exhibit ever-improving performance excellence.